| metabolic health. | chronic inflammation. | insulin resistance. | body composition. | sleep & recovery. 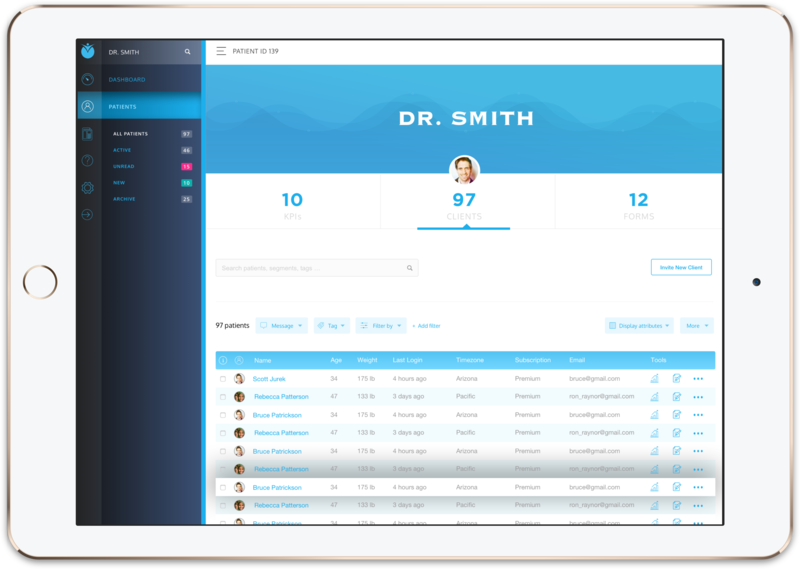 Our data-driven platform makes it super easy to track the progress of your patients. 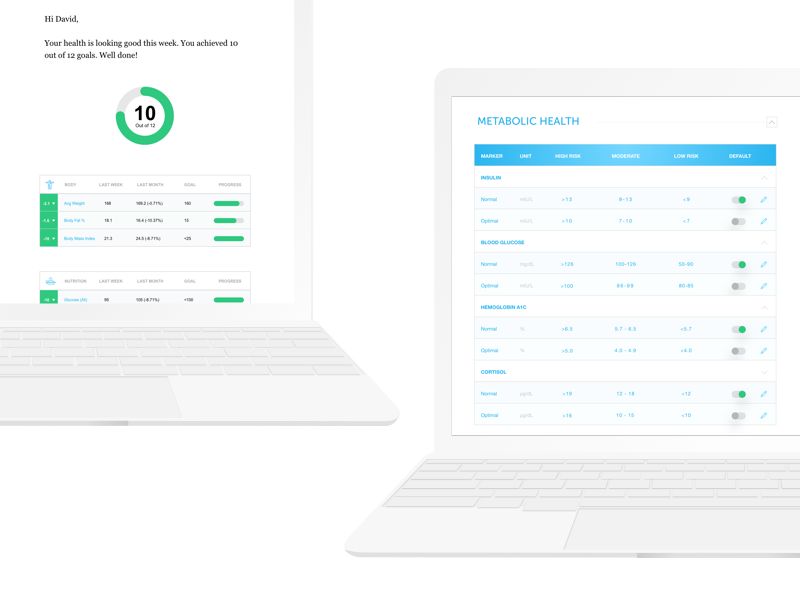 With more integrations than any other health platform, you'll be able to start tracking your client's health data in no time. We use state-of-the-art electronic health records technology to instantly centralize and organize your patient's complete medical history. Easily connect real-time data from popular apps and devices such as FitBit, MyFitnessPal, Striva, Apple Health, the Oura Ring, Ketonix and many more. Seamlessly add data from OATs and other popular diagnostics from leading labs including LabCorp, Quest Diagnostics, DoctorsData, Genova and many others. Access all of your clients in one place. Send messages individually or by group. Create and assign tags to clients such as "body fat greater than 25% or "blood glucose over 120". Filter clients by tags and attributes. Quickly send a message, task or document to a client. 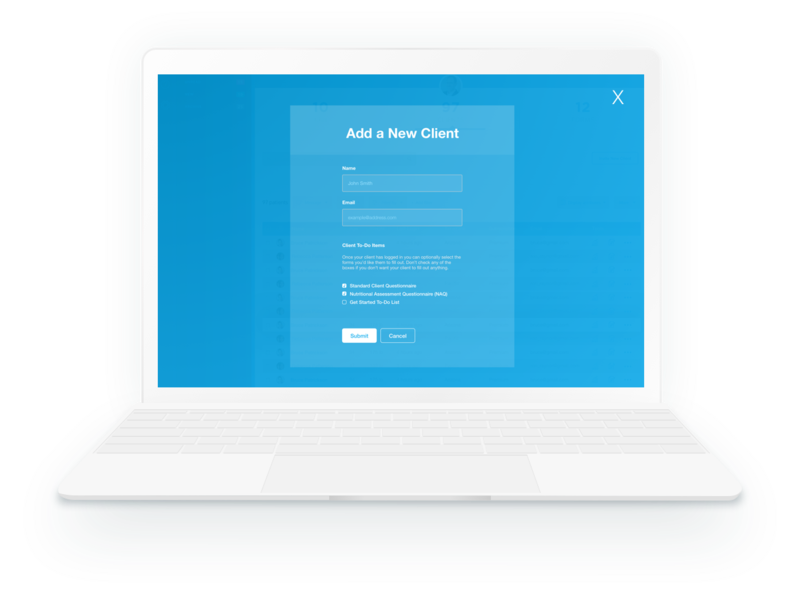 Send clients professional welcome emails inviting them to use the platform. 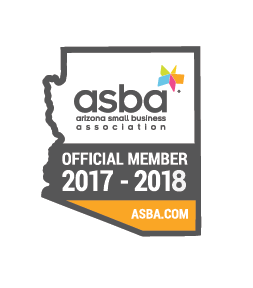 Automatically include on-boarding forms to fill out such as NAQs, assessments, food logs and/or or to-do lists for clients to complete when they first log in. Upload your documents, images, PDFs (really any file you want) and we'll generate a publicly available URL for you to send to your clients. This is a great way to provide digital access to handouts without having to always provide a paper copy. 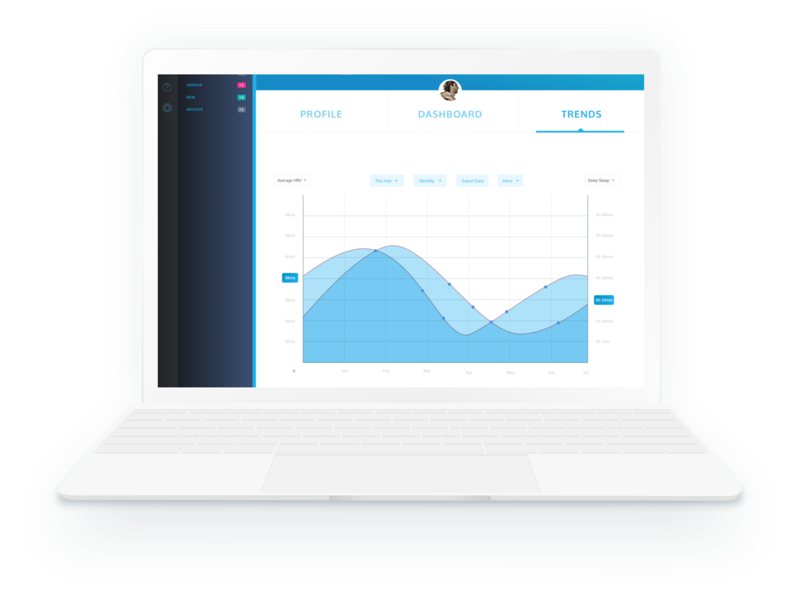 You can also generate individualized health data reports to keep your clients engaged. Know how well your health practice is performing. Grow your business with results-driven sales and marketing data. 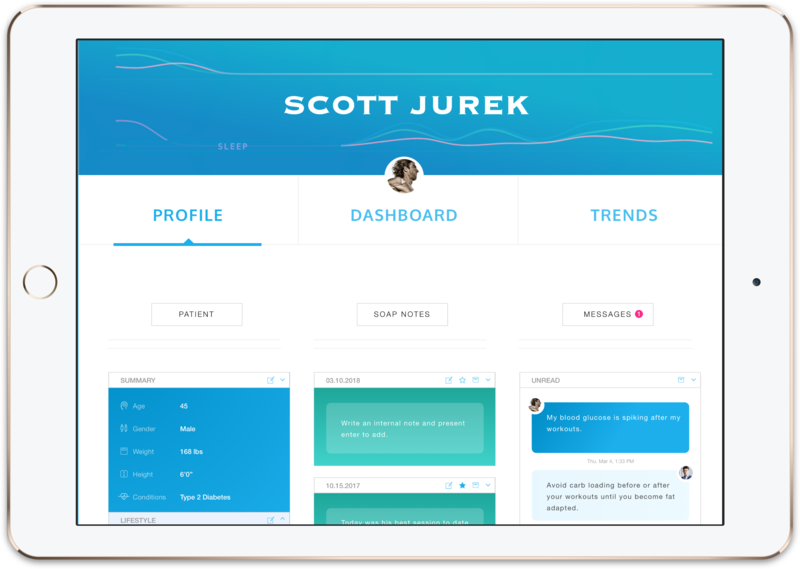 We provide a beautiful dashboard for each patient where you can track and analyze all of their data in one place. Access client history, medical records, in-take forms, conditions and goals. Keep soap notes of your sessions with each client. Send, receive and store text messages. Access data from diagnostic blood tests as well as consumer health and fitness apps. Analyze health data trends and client progress over time. 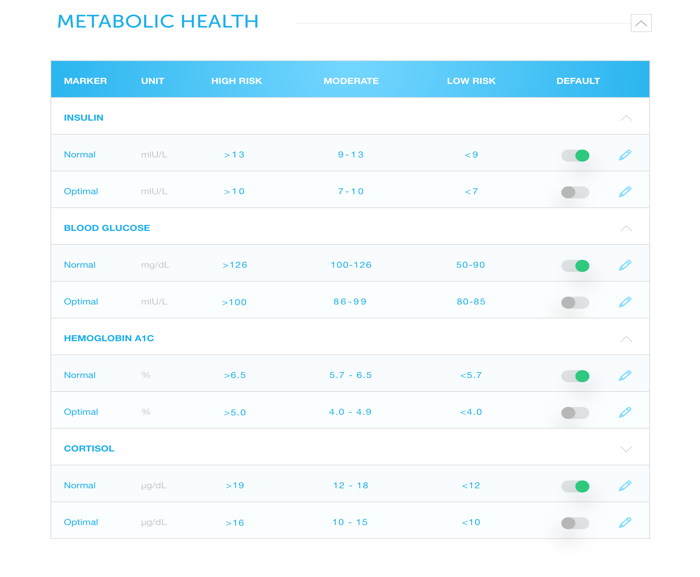 We give you full control over your health data so that you can configure it exactly the way you want. Choose between normal and optimal data ranges. Customize the ranges globally or individually per client. Select unit measurements in US or international. Choose which data you want to see and track for each client. View charts of how your client's health has improved over time. Correlate all client-submitted nutrition and exercise data with clinical biomarkers to learn how lifestyle interventions and protocals are impacting your client's mental and physical health. Functional doctors, nutritionists and health coaches love using Heads Up Health. "As a practicing physician, one of my biggest complaints has been cyphering through electronic medical records which do not communicate. Heads Up Health has been a game changer in this regard because it has allowed me to streamline and effectively track the most important data for myself and my clients leading to higher quality of care." "Heads Up Health has created a solution that is invaluable to clients and practitioners. The integration of clinical and lifestyle data helps modulate client treatments more expeditiously which is improving outcomes. Clients quickly learn to make their own adjustments and take ownership of their health!" Our private beta program is launching in early 2019. We have limited spaces available. Pre-register now to reserve your seat.